With the harsh winter we’ve had this winter, we’re all looking for the sun to come. However, whilst we wait to welcome in the spring there are plenty of things to see indoors this month, keeping you warm! Here’s some of our favourite happening exhibitions from around the city. One of the most typical British tourist destinations is the seaside. Blackpool, Brighton, Dover – and many more are all places where memories are made. From the 23rd March there will be an exhibition at the National Maritime museum which looks at the quirks associated with Brits and their love of the sea. 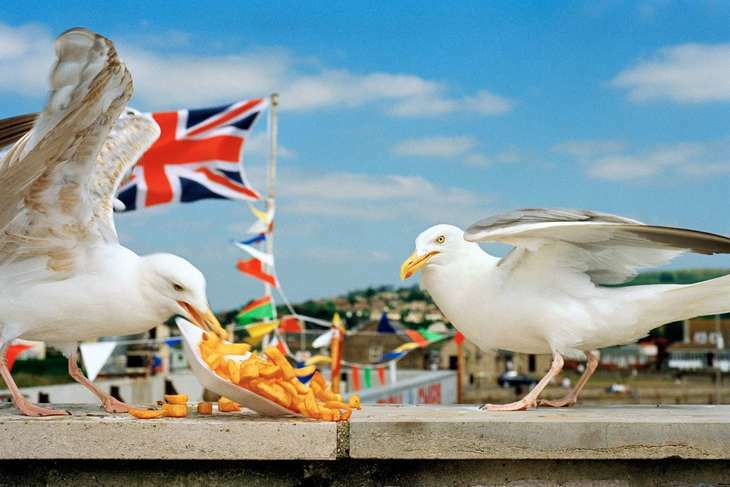 Fish and chips, ice cream and seagulls are just some of the topics covered. Social media has played a vital role in life and especially politics in the recent past. This exhibition at the Design Museum explores this and looks at how the Arab Spring, Brexit, and Trump’s election were all influenced by social media. If you’re looking to grab yourself some amazing artworks from a selection of amazing artists, then the Affordable Art Fair is definitely well worth a stop in Battersea Park. Taking place between 8-11 March, this fair coincides with International Women’s Day and so will feature several special female artists. Rappelling from a helicopter, or jumping out of a plane in the darkness of night are not all things the average person can do, and we’re more often than not glad that we aren’t. This exhibition at the National Army Museum looks at the special forces and the role they play in real world scenarios. An example is an exploration into the Iranian embassy siege in 1980 and the training the soldiers undergo. We’re used to seeing Picasso exhibitions which display the diversity of his work and how his style developed, but this exhibition at Tate Modern takes somewhat of a more interesting turn: it focuses entirely on one formative year of his career, 1932. Going through intense artistic and personal changes in this year, his work became more sensual. Step into his work and his personal life from the 8th March. These are just a few of the amazing exhibitions that you can visit in London this month, and stay tuned on the blog for more updates and things to do!